 Residentsubmitted by Morgan L. - Jul 25, 2018 |Recommended: YesMy overall experience at the Van Allen Apartment complex has been great. The grounds are well kept, even with construction going on. It is awesone having the clubhouse which includes a clean fitness center, pool, entertainment area with TV, furniture and kitchen. The staff are very friendly and responsive. Communication is great and any maintenance needs are taken care of in a timely and successful manner. Great location. 5 Stars a crossed the board submitted by Robert R. - May 30, 2018 |Recommended: YesThis might be oversharinf but I recently became separated and needed a place to continue the next chapter of my life. Van Allen Apts and their staff has ve been more than accommodating. This is perfect for me and my son who u have part time. I strongly recommend these apartments. Nice open floor plan living room kitchen. Beautiful kitchensubmitted by Josh W. - Jan 25, 2018 |Recommended: YesVery nice apartment. New Construction. Maintenance staff is very helpful and super nice. Really impressed with this complexsubmitted by Diane T. - Jan 17, 2018 |Recommended: YesThis is a very nice dog-friendly community. Another positive is that this is a smoke free community. The apartments are spacious with great kitchens and lots of granite counter space. I wish the stove was glass top, but that's ok. Maintenance is right on top of any issue. There is very little noise 1 noisy neighbor - not bad . Excellent property.submitted by Enrique M. - Jan 07, 2018 |Recommended: YesIs a very well maintained property, close to major shopping areas. Perfect Palce to livesubmitted by Harish K. - Jan 02, 2018 |Recommended: YesInterior and exterior of the building is well constructed. Staff were very friendly and any maintenance issue resolved very fast and all major convenient stores, Gas stations and restaurants under 2 mile radius. only concerns there is no play area for children. apart from this it's a perfect place to live. Up and coming, great location and amenitiessubmitted by Morgan L. - Oct 17, 2017 |Recommended: YesThe apartments are really nice with spacious layouts and stainless appliances. Pet friendly with no breed restrictions. I feel safe and comfortable living in Van Allen Apartments community. Residentsubmitted by Christine P. - Aug 03, 2017 |Recommended: YesI love this apartment complex It is brand new and still under going construction. Very pet friendly. Response is quick and the few minor issues that I have encountered with maintenance have been resolved quickly. Rebecca and Alyssa in the office are wonderful. They go above and beyond. The contruction crew and Chris from maintenance are also very friendly and respectful of the residents. Apt is very spacious and modern. Complex is generally quiet. However there will be noise occasionally from the on going construction and sometimes you can hear other residents and dogs but I expect this from apartment living. Love the apartmentsubmitted by Marcella S. - May 19, 2017 |Recommended: YesThe apartment is beautiful, staff is kind and courteous. Parking has never been an issue. The community area gym is always clean and is hardly busy.